Just because it's not skin tight doesn't mean it isn't high-performance. 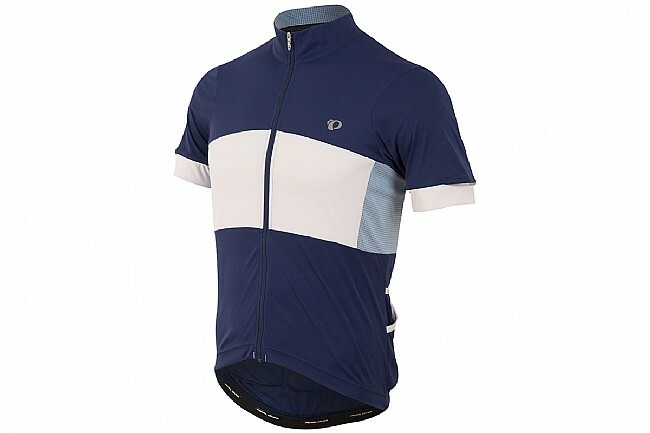 Pearl Izumi's Elite Escape Semi-Form Jersey gives riders with a bigger build or those that prefer a looser fit in general the quality design and high-tech fabrics of Pearl's racier garments but in a more comfortable cut. A Transfer In-R-Cool® body provides excellent moisture-transfer, which is bolstered by IceFil® technology that keeps you cooler when you're working under the sun. Direct-Vent panels and a full-length zipper provide ample ventilation for all conditions, and to make the Elite Escape Jersey even more compelling, the three standard jersey pockets are supplemented with two additional easy-access rear pockets to handle gels, bars, and other ride essentials.